I am still receiving Lilly Pulitzer marketing e-mails multiple times a week (I buy one planner (a gift) once a year). I do enjoy the inspiration the fabrics provide! This was not based on any specific Lilly fabric pattern, just on her signature bright style. Supplies: Stamps – Stampin’ Up!, paper – Neenah Classic Crest Solar White, Stampin’ Up! Green Galore (retired), inks – Stampin’ Up! Green Galore (retired), Lovely Lilac (retired), Orchid Opulence (retired), VersaMark, dies – Lawn Fawn (stitched rectangle), Taylored Expressions (banner), embossing Powder Ranger Liquid Platinum, organdy ribbon – Offray. 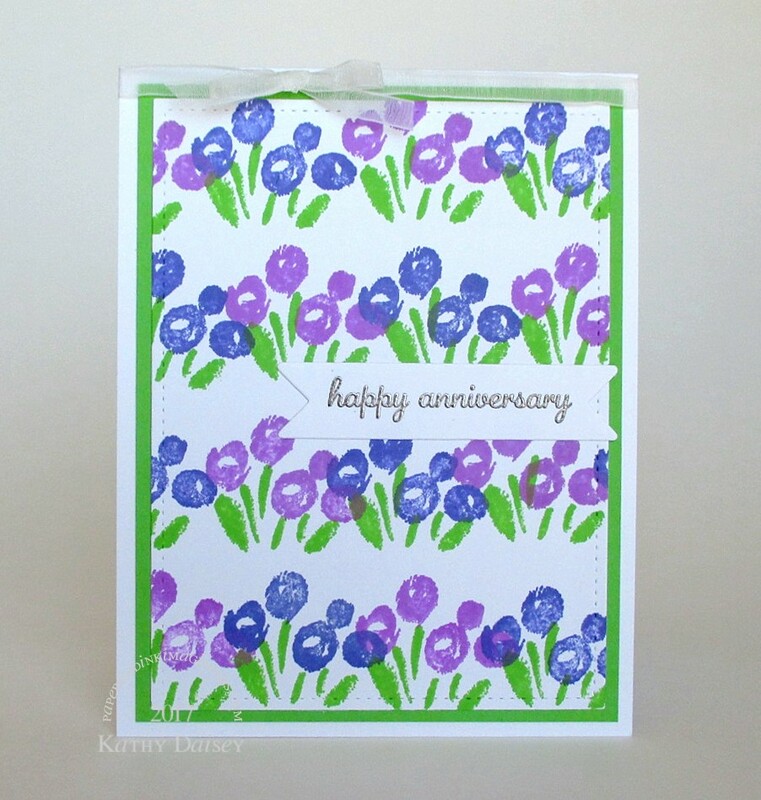 Categories: anniversary, card | Tags: card, Lawn Fawn, Neenah, Offray, Ranger, Stampin' Up!, Taylored Expressions, Tsukineko, VersaMark | Permalink. A truly unique anniversary card. I really like the colors you chose. Thank you so much, Miss Hammie!